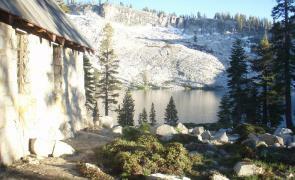 The Ostrander Lake tour starts along Glacier Point road and takes you through the woods, across the meadow, over the creek, into to the lake (swimming is optional) and back to Glacier point on this 12 mile (not including side hikes) round trip tour. From the trailhead, our path heads southeast away from people to an area that is stunningly beautiful but not known to many who visit the park. A Just Roughin’ It backpacking trip to Ostrander Lake is a great trip for the novice backpacker or for the entire family! 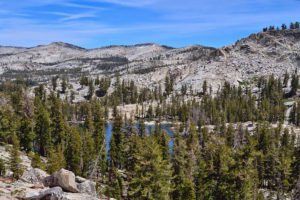 This out and back hike will take you through the woods, across a meadow, over a creek and into the lake, with great high mountain views along the way. 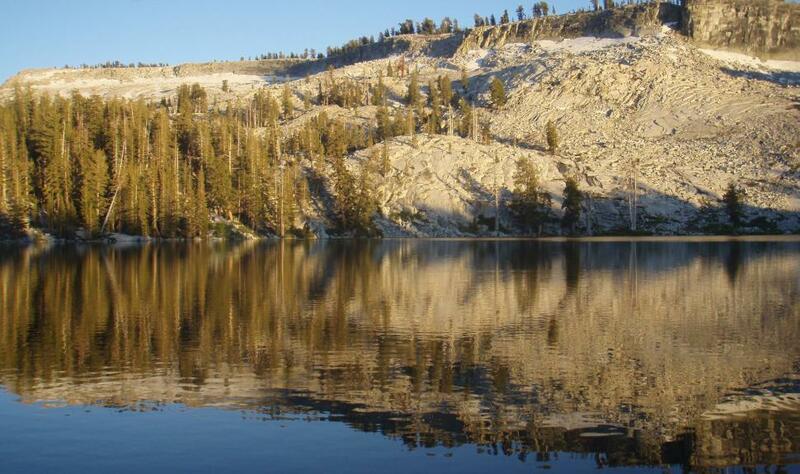 While this lake is one of the closest backcountry lakes to a main road, it is over 6 miles away so get away from the crowds of Yosemite Valley and go jump in a lake! The below itinerary depicts a standard 3 day trip. If you are looking for 2 days, take out the 2nd day of off-trail exploration to the more remote Hart Lakes. After you meet your guide at the park, we will hike 6.2 miles (10 km) and gain about 1,500 ft (457m) in elevation to camp near the scenic shore of Ostrander Lake where we will camp both nights. Along the way we will pass through thick pine forests, across meadows and the Bridalveil Creek. The views from trail to the lake span for miles and are well worth the hike up. There will be plenty of time to explore or go for a swim this afternoon. After breakfast, we will put on our daypacks for some off-trail exploration to the more remote Hart Lakes. Many times we have hiked over to this location and not seen another soul. After we return to camp, you can take a swim while your guide prepares another delicious meal. The distance hiked today is up to the group but usually 3 miles (5 km). After breakfast, we pack up and return to Glacier Point Road via the same way we hiked on day 1. You experience the same amazing scenery on the return hike as we make our way back to civilization. We are usually back to the trailhead by early afternoon.